Have you ever been home on a rainy Sunday afternoon, flipped on the TV and randomly discovered a movie so good that you’re glad you were stuck on the couch for 2 hours? The film, adapted from Joe Dunthorne’s 2008 novel, is the directorial debut of Richard Ayoade, a British actor best known to American audiences for his role as Moss on the British sitcom The IT Crowd. 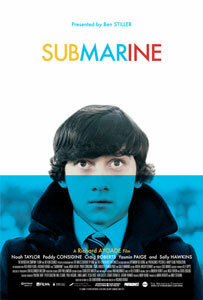 It’s a coming-of-age film story about 15 year old Oliver Tate (wonderfully played by Craig Roberts), who is too smart, too cynical and too judgmental for his own good. Think of him as a British Holden Caulfield. Oliver has to learn how to deal with his very first girlfriend, the aloof Jordana (Yasmin Paige) while trying to cope with his parents increasingly bad marriage (Sally Hawkins of Never Let Me Go and Flirting‘s Noah Taylor). Adding to the mix is the new neighbor (Red Riding‘s Paddy Considine) and mom’s ex-boyfriend, things are quickly going to hell for Oliver. For being a first time director, Ayoade has made something special. He’s got a great sense of style and unlike most American coming-of-age stories, this one never bows down to the audience in order to make things simple and easy. Ayoade and Roberts (last seen in Jane Eyre), craft a character who’s sanity you often question. Oliver is emotionless throughout most of the film, but you’re never not rooting for him to make things right. This film could have easily been a piece of absurd nonsense but Ayoade’ s casting is so spot-on and true that you just smile watching the actors carry out these incredibly ridiculous scenes. The mullet-wearing Considine, mom Hawkins and dad Taylor are particularly fun to watch. Don’t go to the theater expecting some escapist fun, watch this to see something unique and leave the theater hoping there is more from Ayoade to come.